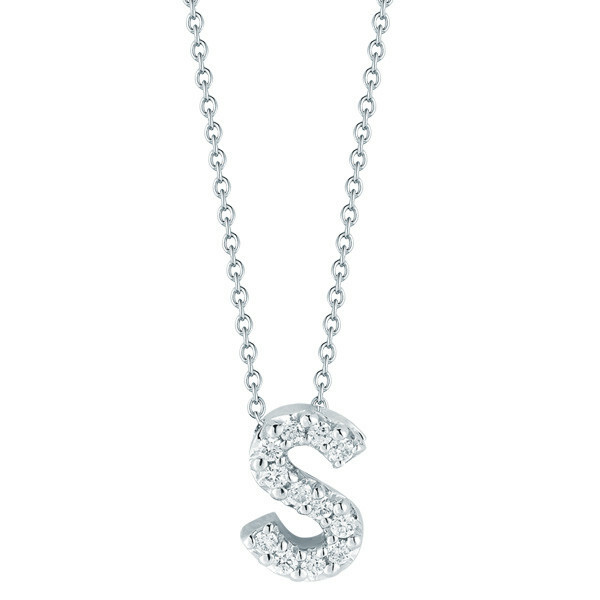 This S pendant from Roberto Coin is part of the Tiny Treasures collection. 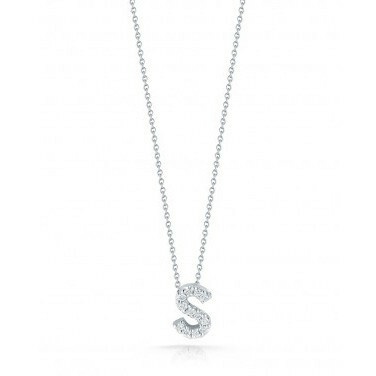 Suspended on a 16" whisper chain, the letter is crafted in ravishing 18kt white gold and amplified by sensual white diamonds. 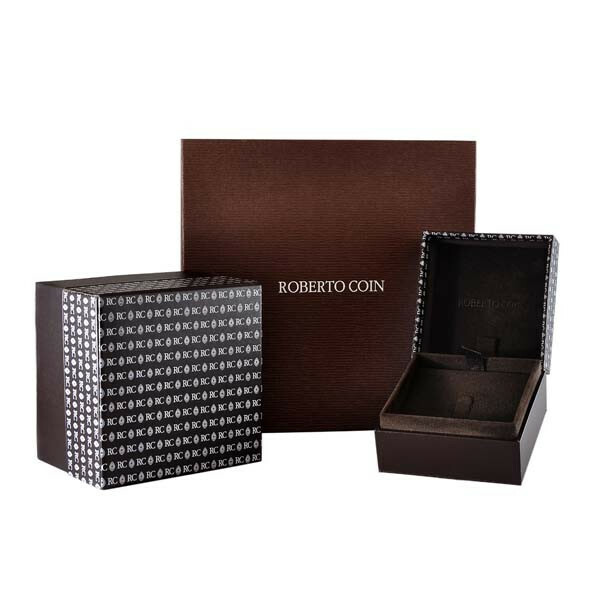 This little Roberto Coin piece will make a big personality splash!